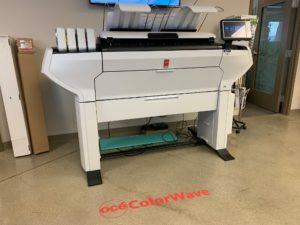 Océ Large Format Plotters Milwaukee WI | A/E Graphics, Inc.
A/E Graphics is an authorized Océ sales and servicing dealer of premier wide format solutions. Copy, print, plot, scan, manage and electronically distribute both black & white or color wide format documents for technical and graphic arts solutions with our full line product portfolio of Océ large format printers, plotters, copiers and software. 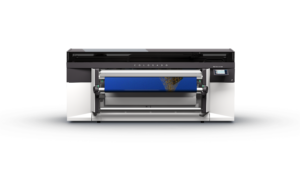 Print job and document management solutions for your large format plotter applications. As an Océ reseller of large format products, A/E Graphics receives top rated customer satisfaction with a 100% 5 star rating for professionalism of communication, speed on responding to needs and referral rating (those that would recommend A/E Graphics to others) according industry surveys. A/E received the Océ Partner Award for outstanding achievements and exceptional success in the Océ wide format partner community. A/E is proud to partner with Océ for whom sustainability has been a defining philosophy from the very start. Less than three percent of materials used to build Océ products end up in a landfill, their hazardous substance compliance eliminates large amounts of waste, Océ renowned reliability eliminates their product from prematurely entering the waste stream and perhaps most importantly, Océ’s patented Radiant Fusing technology uses than half the energy use of any competitive device with the lowest heat, ozone emission and noise discharge! World class support is what you get with A/E Graphics. Their full-time specialists receive manufacturer certified training in service and system integration, they have access to over 1,000 technical personnel and a national technical support center and are responsive to your needs and respectful to your business. We treat you and your business how we want to be treated! Consider choosing A/E Graphics, A Better Plan.